For many of us, Ayrton Senna was the greatest racing driver ever. Even those who aren’t race enthusiasts know that the World Champion Brazilian was tragically killed racing at Imola in 1994. But what about his early life? It’s often said that Ayrton was from a wealthy background but that’s relative. It’s true that for many people in his home town of Sao Paulo his lifestyle was beyond their means. But Brazil was a country with a wide difference between the rich and the poor. There were also those to whom the family were distinctly low class. Ayrton Senna da Silva was born on 21st March 1960 to Milton and Niede daSilva. He was brought up in a house belonging to his maternal grandfather. It was a forty minute drive way from the budding racetrack that would become the famous Interlagos circuit. Ayrton was the middle child and had two siblings – his older sister Viviane and his younger brother Leonardo. His sister Viviane is the mother of racing driver Bruno Senna who is therefore Ayrton’s nephew. She worked extensively with Ayrton later in his career when he devoted much of his time and money to charitable purposes. They were both particularly involved in creating improvements for the people of Brazil, especially the children. When Senna died at Imola, the family persuaded nephew Bruno to give up his own budding racing career which he did, but returned to the sport in 2010. Ayrton Senna came from an automotive background. His father, Milton Guirado da Silva, was a self-made man. He wasn’t born into a wealthy family. Indeed, his background was very humble. 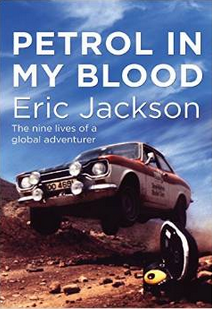 His first real job was – driving; he was employed as a chauffeur. This enabled him to start his own small business selling automobile spare parts. At the end of the nineteen fifties, just before Ayrton was born, the small business began to take off. Milton was a down to earth man with strict moral values. He was proud of the fact that he could support his family in a style better than so many other Brazilians. Ayrton was energetic and quite mischievous as a child. His mother, who had the luxury of being a fulltime housewife and mother, often had to tend to the scrapes and bruises he sustained during boisterous play. His father hit on the answer. 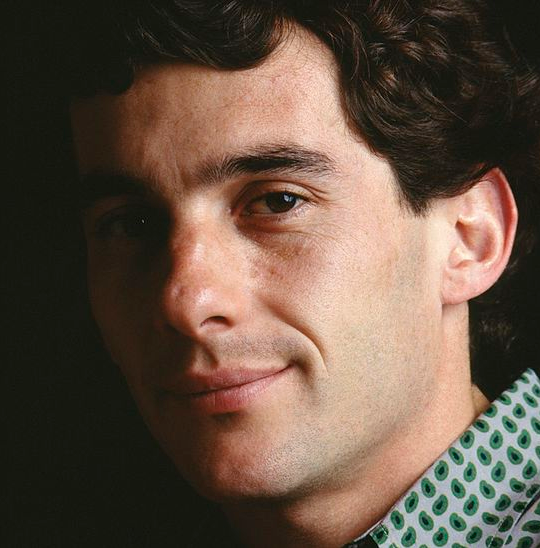 He noticed how interested young Ayrton was when they went out in the family car – he seemed mesmerised by the dials on the dashboard and mimicked his father’s actions when driving. Milton, who was interested in motorsport himself, gave Ayrton a pedal car and then a go-kart when the boy was four. However, the kart was used as a discipline tactic.When Ayrton went to school his use of the go-kart was determined by his school work and report cards. Ayrton was not one of nature’s scholars. He was intelligent and intuitive but the restrictions of school bored him. Nevertheless, even at an early age, he worked out how little effort he wouldned to expend to keep his father happy – or more importantly, keep his go-kart. He did the minimum required but manged to get by and was never in any serious trouble at school. His heart was elsewhere. As Ayrton grew, his father would replace his go-karts with larger ones more suitable for the boy’s age and size. Milton always encouraged his growing son’s interest in driving and racing. Ayrton became more and more knowledgeable about working on the kart and dismantling and reassembling it hoping to improve its performance. At that time, the minimum age for kart racing in Brazil was thirteen. As soon as Ayrton reached that age he persuaded his father that his school work had been adequate and as a result, his father capitulated and provided the boy with a racing kart that would match his aspirations. When I watch Ayrton scythe through the field in the wild and wet 1993 European Grand Prix, I had no idea (and I imagine the other spectators were the same) that when he started his racing career, he was hopeless in wet weather. Yet racing in the rain was to become his forte. This is because whenever it rained in his hometown, young Ayrton would see this as an opportunity to improve his skills. Knowing that he didn’t excel at wet races, he took every opportunity to practise every time there was wet weather. His first go-kart race took place in 1973, once he had reached the magic age of thirteen. It was on 31st July of that year. Although it is reported elsewhere that he didn’t finish his first race, other accounts say that he started on pole and finished in first position. Early the following year he won the Champion of Sao Paulo junior category. The year after that he was runner up in the entire Brazilian series. Every year, he moved to a higher category with larger engined-karts. His father was still encouraging his racing. Today,most Formula One fans could name several Brazilian racing drivers but in Senna’s early days there was only one of any note, Emerson Fittipaldi. In the future,Brazilians would become passionate about motorsport but at that time, the truly popular sport in the country was football (soccer). Fittipaldi was,like Ayrton, from Sao Paulo. He won his first title when Ayrton was twelve years old and his second when the boy was fourteen. His success showed the budding racing driver that it was possible for ‘Paulista’ to succeed in international racing. Ayrton never forget his karting beginnings. Today, most drivers attribute their skills to karting when they were children. 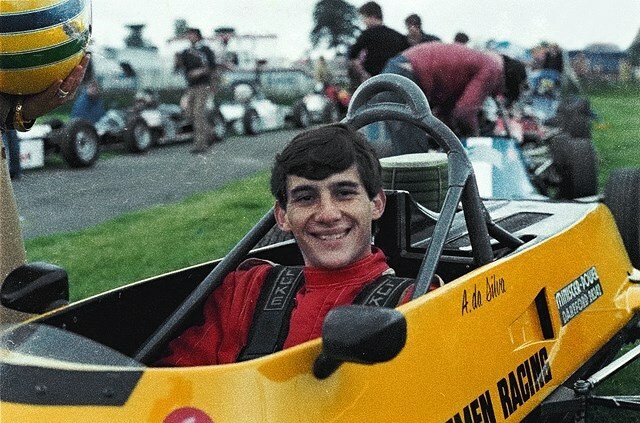 When he was in Formula One, fun kart races were often organised during race weekends and Ayrton relished the opportunity to relive his early racing days. When he bought his own property in 1988, near his home town of Brazil, he built a kart track on the property where he could rediscover the fun of driving ‘by the seat of his pants’ and tinkering with the machines themselves. This was a pleasure he shared with his nephew, Bruno.